2 views of Quizzical watching mom Kate tear apart fish to feed him. He is getting big enough that my lens has an easier time getting details! Kate and Petruchio are looking directly at each other. He is bringing in a fish. She is impatient and wanting to feed the family. 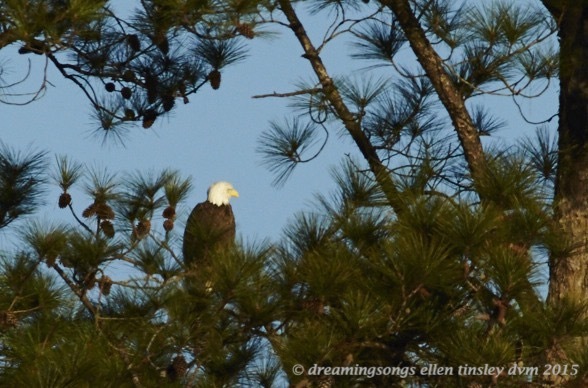 Not sure I would want to be the recipient of either eagle’s glare. Suddenly Kate flung herself out of the nest. I couldn’t see a reason for her sudden leap. I watched as she struggled against the gusting winds. Her head and body at an abnormal flight angle. 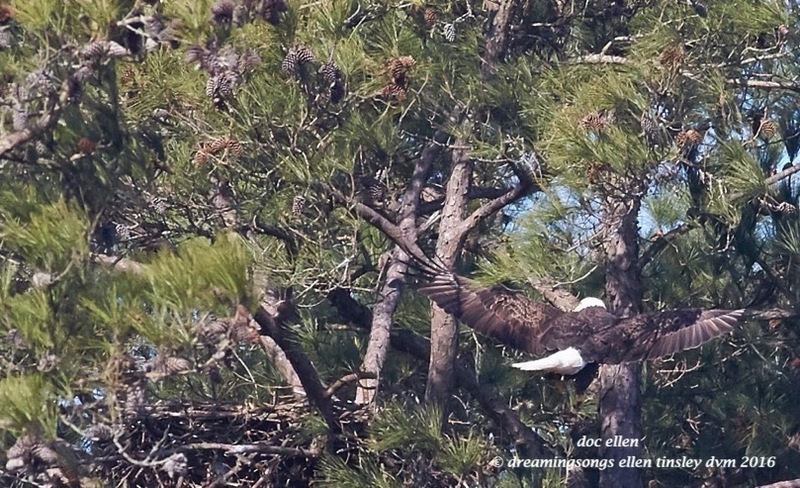 She regained the nest by jumping a limb that had fallen into the nest. 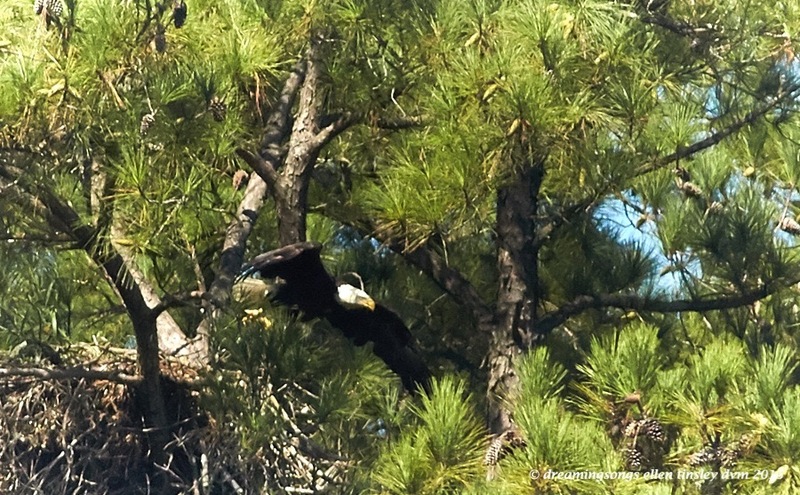 I think the falling limb had startled her badly enough for her to have momentarily left her chick(s). Yes, I said chick(s) for it/they have hatched! Everybody seems to be ok, whew! 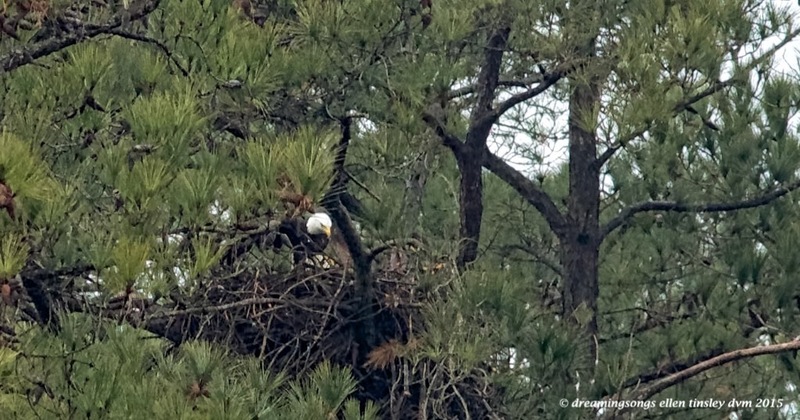 I stop by the Jordan Lake Eagle nest occasionally to check on the nest. I always hope to catch a glimpse of the parents or maybe the fledglings. 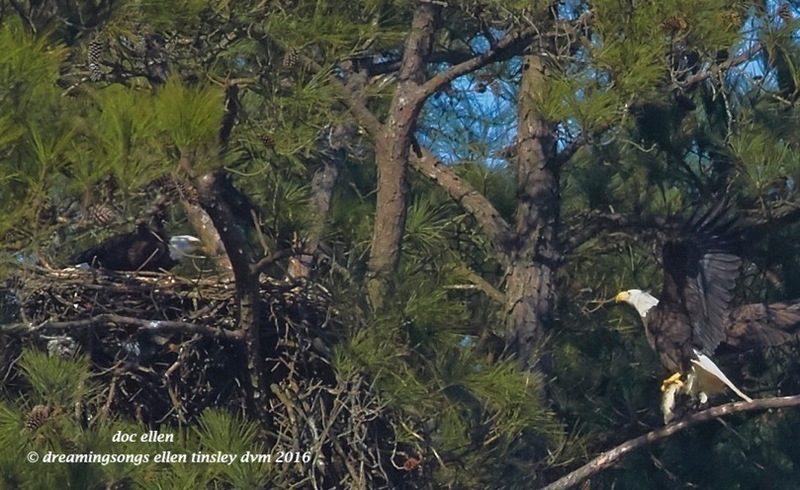 On September 19, having just snapped a photo of the empty nest for my files, I heard a familiar eagle scream. Kate came barreling across the cove heading straight for the nest. She piled into the nest still screaming. I glimpsed a fledgling on a perch across the cove. 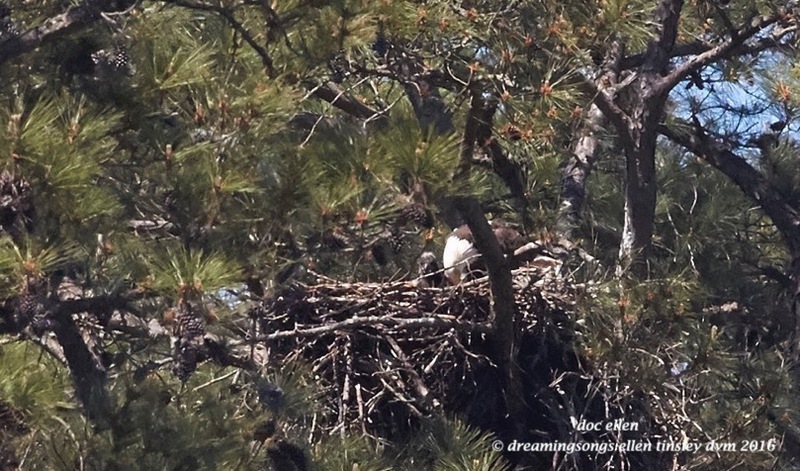 The immature eagle was quiet and watching the parent bird have a fit. 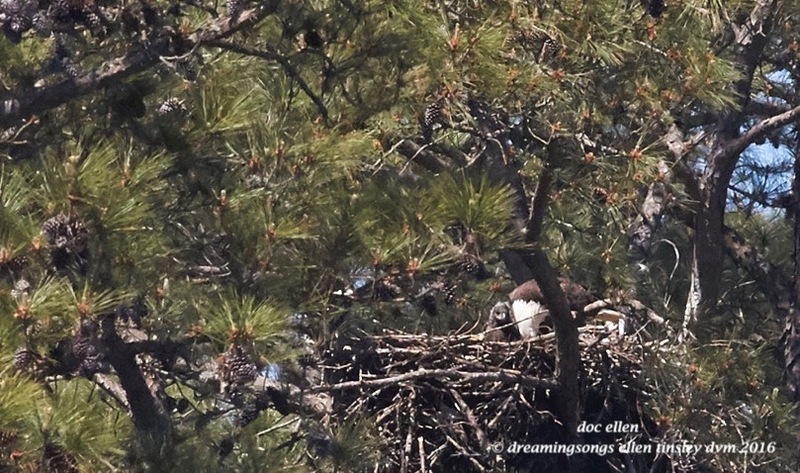 As quickly as Kate got to the nest, she bounced out again, flew across the cove, past the fledgling and was gone. I don’t know what started the ruckus, but it sure was great seeing Kate and one of the fledglings.